the tamarind in water for 10 minutes and set aside. color. Cool and rub the skins off. and fry for a minute. Remove from the flame and let it cool completely. fine paste using a little water. hing. Stir for a couple of seconds and turn off the heat. the chutney and combine well. Serve with pongal, dosa, idli or upma. I like this peanut chutney must try ur way thanks for sharing:). 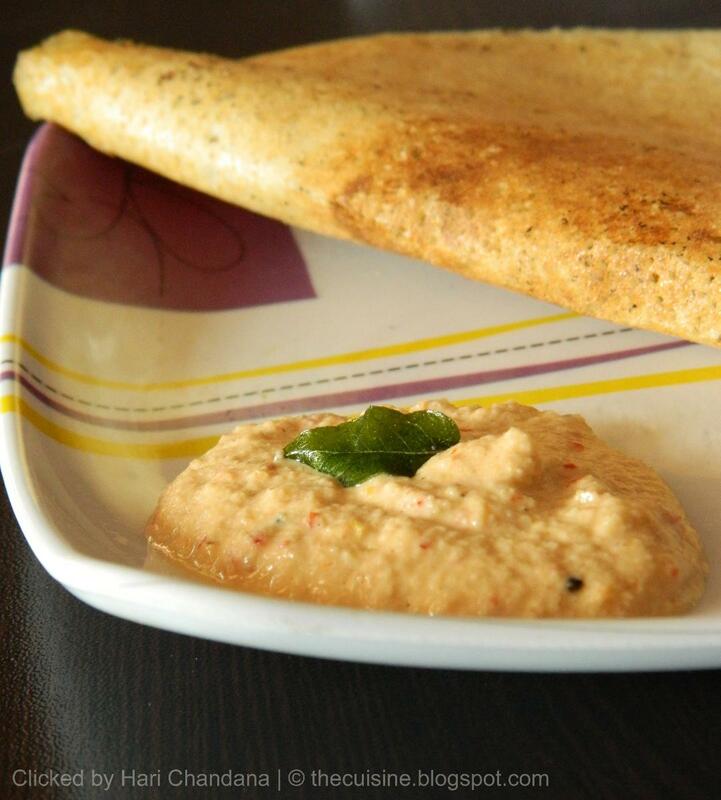 If u like plz follow me in Google…..
Chutney looks yummy…without coconut too…perfect combo. I add a piece of coconut to enhance the flavor.. Looks perfect :)Happy to be your new follower!! Love the addition onion,delicious chutney. Interesting chutney, can almost taste it. That's an new recipe of peanut chutney to me…love trying this out…..
పచ్చడి చూడటానికి చాలా బాగుంది!! tempting pic. Yum!! I love anything prepared with moong dall..this recipe looks so perfect.. I tried this recipe and it was very tasty. My son loved this chutney. I have shared this recipe in my blog.